You may be knowing that Average adult head has about 100,000 to 150,000 hairs and it is very NORMAL to loose about 100-150 strands everyday. It is a normal cycle of follicles producing new hair cell and old feels are being pushed through the surface of the skin. It is therefore, a not to worry situation if you have new hair strays in your comb within this range throughout the day. Telogen: (Resting Phase) – at the end of this phase, the hair sheds and a new hair follicle takes its place and starts all over again with 1st stage. Involutional alopecia – a natural condition in which the hair gradually thins and fall with age, there is no pattern and it may trigger anytime. Telogen effluvium – temporary hair thinning because of changes in the hair growth cycle. Androgenic alopecia – a genetic condition that can affect both men and women. In Men, called male pattern baldness, it is identified by a receding hairline and slow disappearance of hair from crown and front scalp. In Women, this condition called female pattern baldness, experience thinning over the entire scalp. Alopecia areata usually starts suddenly (an auto-immune disorder) and causes patchy hair loss in children and young adults. This condition may result in complete baldness (alopecia totalis). Scarring alopecias result in permanent loss of hair. Inflammatory skin conditions and disorders often destroy the ability of the hair to regenerate. Hormonal Changes – a sudden change in hormonal balance due to medication, pregnancy, age – can cause hair fall. 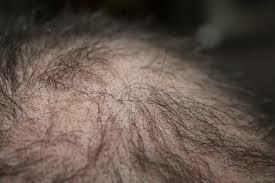 Genetic Pattern – Its usually seen with male that if the older male members family have a pattern of hair thinning, then later, it continues with other male members too. Stress/ Illness – A stressed lifestyle or prolonged illness can cause hair shedding. Drugs/ Treatment – Strong medications like for Blood pressure, birth control pills, treatments like chemotherapy etc. Cosmetic Procedures – Harsh treatment done to hair for a long course of time, have adverse effect on their life and strength. 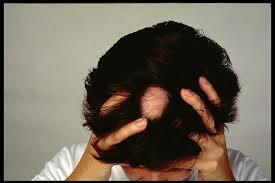 Medical Conditions – Suffering from Thyroid, anaemia, Iron deficiency, diabetes may all cause hair fall. Diet – Last but not the least, a poor / imbalanced diet has detrimental effect to hair strength. One should be very careful with nutrient rich diet as it contributes with health in and out.